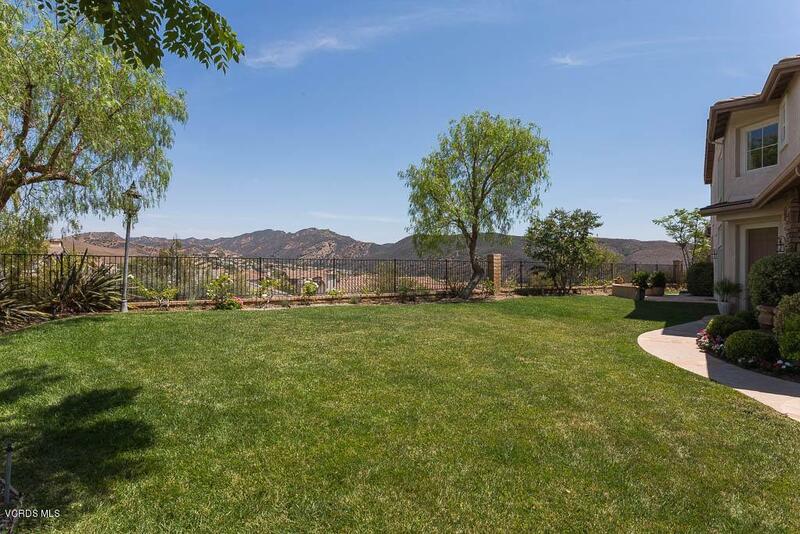 PREMIER and PRIVATE Flag Lot home at top of hill with amazing VIEWS in the highly desirable gated Eagle Ridge community. This beautiful and bright, open floor plan features new fresh paint, hardwood floors, vaulted ceilings with elegant crown moulding, formal dining and spacious living room, and dual staircases. The lovely eat-in kitchen includes high-end Viking refrigerator, range, wall oven and warming drawer. The attached family room with fireplace leads out to the perfect entertainers backyard with covered patio, built-in BBQ and expansive views. Downstairs full bath and bedroom with french doors and custom cabinetry is ideal for office or guest quarters. The upper level features spacious master suite with huge walk-in closet, dual vanity bathroom, and private balcony with incredible valley views. There are 2 additional good sized bedrooms and a large loft area with built in shelving adding a ton of additional space. Separate upstairs laundry room with sink and storage. 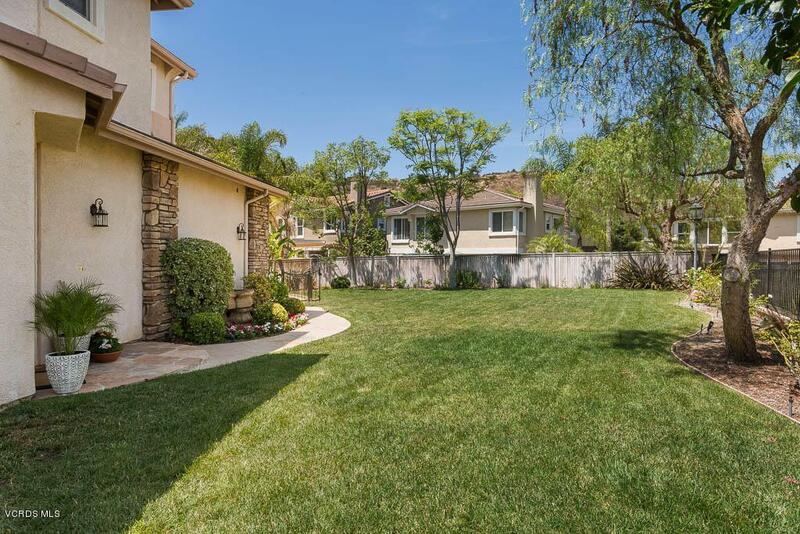 Additional upgrades include plantation shutters throughout, custom California Closets, 3 car epoxy garage with extra storage, whole house vacuum, and a very large, fully landscaped front and side yard. Close to community pool, award winning schools, parks, hiking, shopping, & freeway. 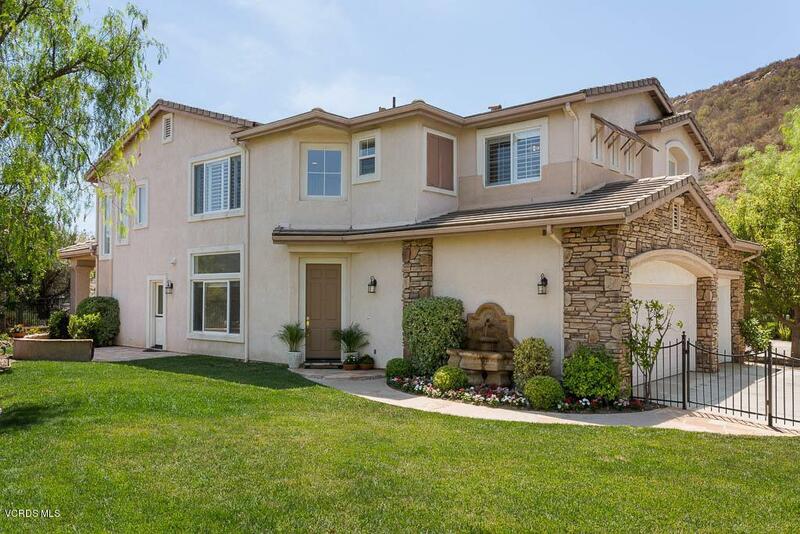 Sold by Timothy Fletcher BRE#02025576 of Redfin Corporation. Inclusions Front Yard Fountain. All Kitchen Appliances incl. Viking Refrigerator Viking Gas Range And Bosch Dishwasher. Listing provided courtesy of Jennifer Rogerson DRE#02025576 of Keller Williams Westlake Village and Milli Rivezzo CA DRE# 01747494 of .